Make sure to check out the Virtual Tour for floorplan, property video, & 3D Virtual Reality Walkthrough! Love the security of a gated community like Pristine Place but also want room to breathe & stretch out? 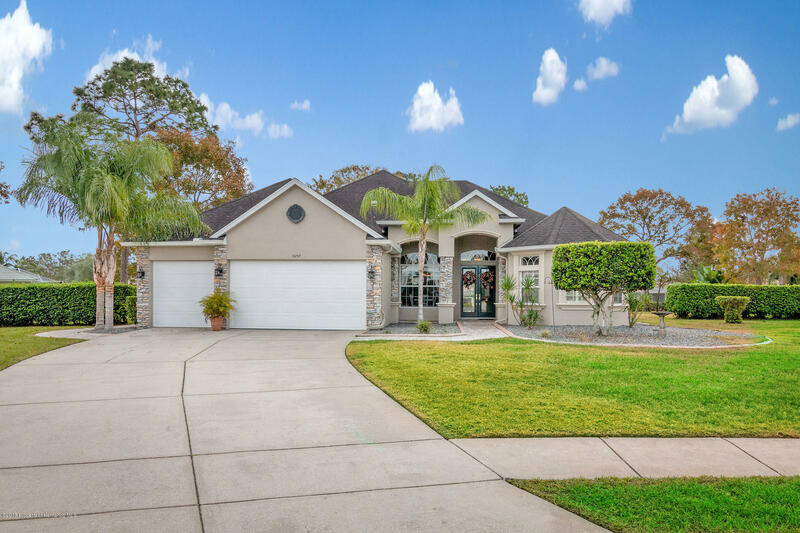 This fantastic cul de sac home sits on the largest lot in the community at .85 acres! Former Model Home has been impeccably maintained & truly shines. Black stainless appliances, high ceilings, Huge 30x17 2nd floor bonus room (possible bedroom 5?) w/ full bath & closet. Huge screened lanai w/ brick pavers, in ground pool & spa, built in fire pit. This home is perfect for entertaining & the master suite? It's your new at home spa facility just waiting to help you relax. Remediated sinkhole. Check out the Virtual Tour, Call your agent, and schedule your private showing TODAY!